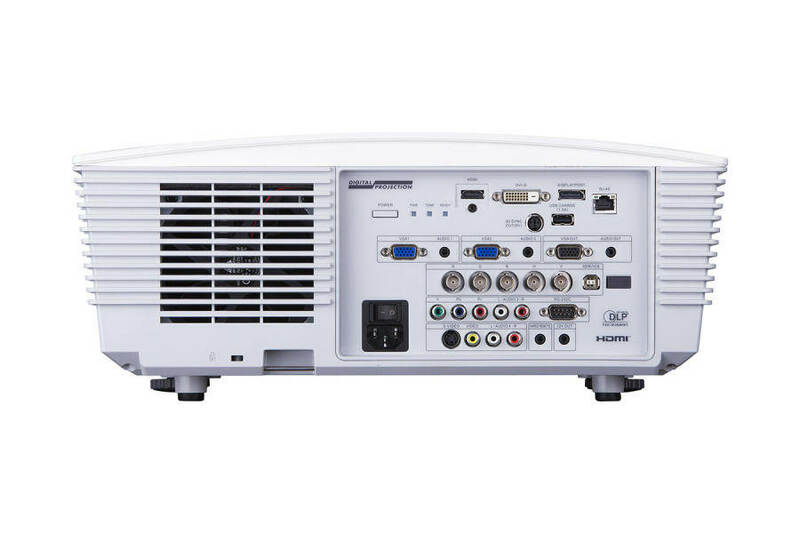 E-Vision 4500 1080p projectors bring impressively compact, entry-level imaging solutions to small houses of worship, corporate boardrooms, digital signage, and similar applications needing bright imagery at remarkably accessible price points. Engineered for ceiling-mounted professional applications, E-Vision 4500 displays are housed in a streamlined, white plastic cabinet. 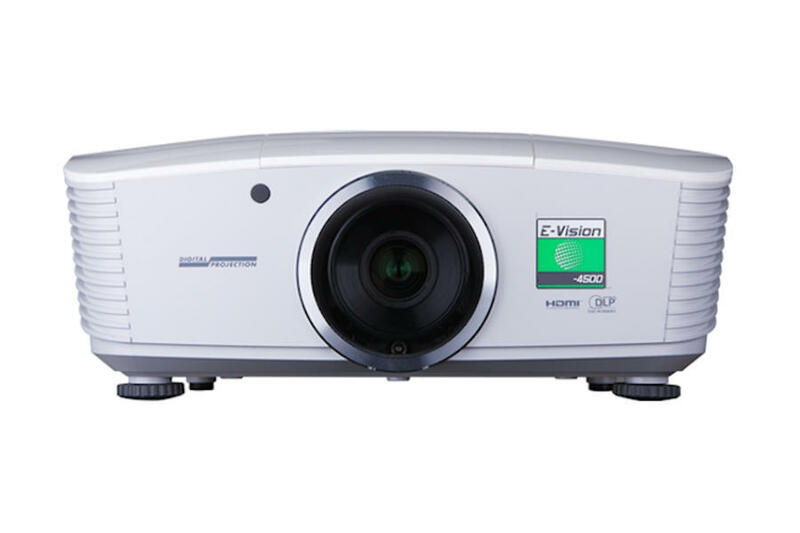 With a chassis weight of only 8.6Kg the lightweight, single-lamp E-Vision 4500's utilize the latest in Texas Instruments' dark metal DLP technology. 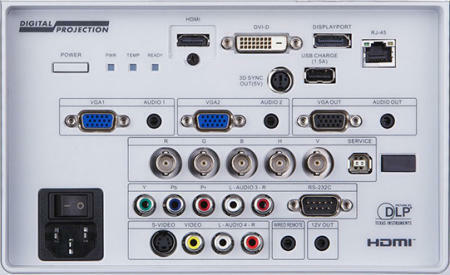 HDMI 1.4 for Side by Side, Frame Packing & Top Bottom Formats. Dual Flash Processing can be used to multiply the displayed frame rate for 3D sources (example 144Hz display). Synchronisation of active glasses, DLP® Link™ glasses or polarising switcher. BrilliantColor™ for increased system brightness. Independent control of hue, saturation and gain for primary and secondary colors. 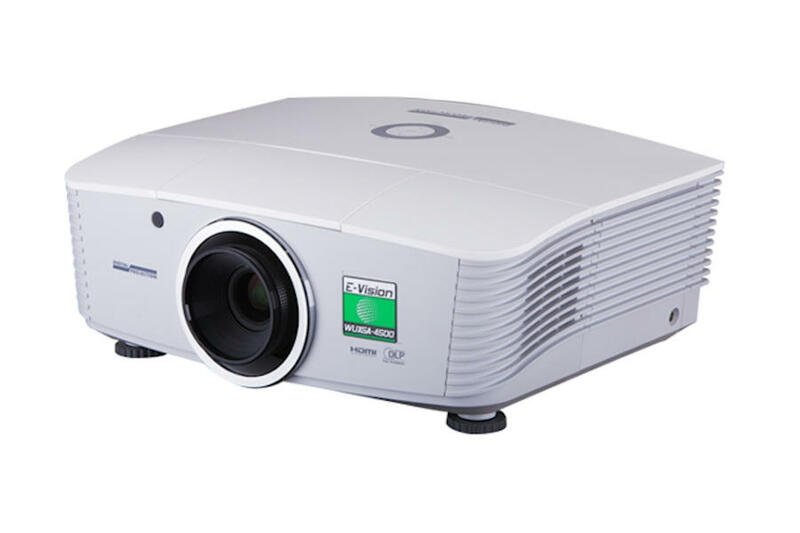 The projector automatically detects interlaced video and implements 3:2 or 2:2 extraction as appropriate, with pixel based, motion adaptive interpolation and auto cadence correction. Lamps can blow, if you need your projector working and can't afford down time, you may need to keep a spare lamp. 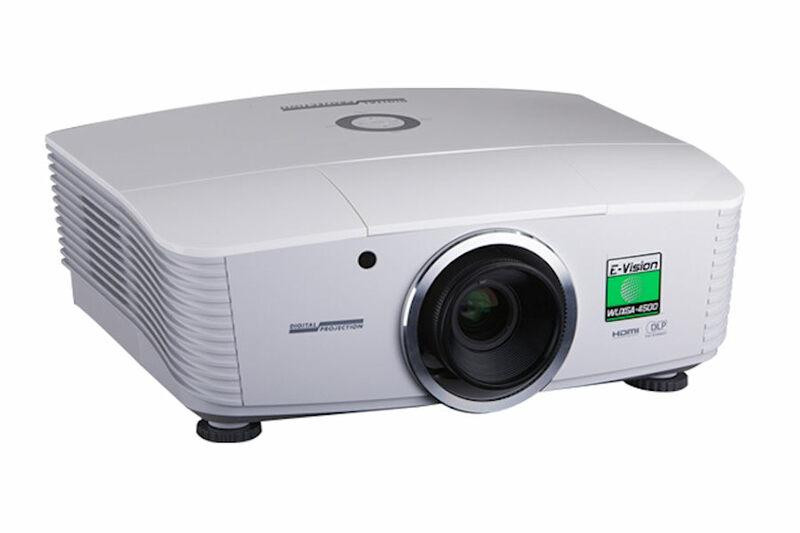 The replacement projector lamp for the Digital Projection eVision 4500hd is the 114-786.